The Wrapper is bitter and the Cigar's Draw gets Hot about 1/2 way through the Cigar and the Bitterness also increases. 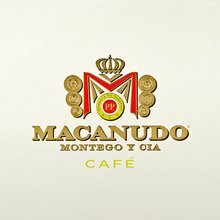 I will Not be Ordering this again...I have never had a "bad" Macanudo until Now. Enjoying this one with a morning coffee in the out of doors. Effective packaging. Nice size for not a lot of time. Delicious flavours if a tad sweet. Beautiful burn so far. Mild, mellow and probably a go to when travelling. My first review. Thanks! Love these cigars. Extremely consistent in draw and overall quality, and they're a great size for a reasonably quick smoke. Unfortunately, the price has recently increased quite a bit, but with the special that JR recently ran on them, it was time to stock back up. Picked a couple up for streatch breaks while traveling. Burn and draw were fine. Flavor was bland and a little stale taste. Nothing bad to say, just not for me. If this is all you can get your hands on it will do for the moment. It's not the worst cigar I've had but I'd choose almost anything else if at all possible. These are great to grab to take with you on the go. Tubes keep them protected. The cigars are just a classic mild bodied smoke. Great morning or midday smoke for me personally. Great cigar, as all Cafe Macanudos are, but the draw was troublesome. Should probably go with a thicker ring size. I have had several of these with a firm draw or they start nice and plug up part of the way through. Nice flavors, smooth and mild. A great any time of the day cigar. Lots of compliments on the aromas. I am reviewing two similar small cigars, the Macanudo Café Court from Dominican Republic and the Punch Bolo from Honduras. The Mac size is 4.18x36. The Punch is 4.19x36. The current price for the Mac is $61.30 for 30 individually packaged in aluminum tubes with a cedar liner. The current price for the Punch is $57.65 for 30, individually packaged in cellophane with six packed in a metal tin. The Mac is rated mellow with a Connecticut light brown / natural wrapper. The Punch is rated medium to full with a Connecticut / Ecuador Sumatra EMS wrapper. The Mac is about 10 cents more per cigar which is insignificant. Both are well made and have an even burn with an easy draw. Sometimes clipping the Punch results in the wrapper unraveling slightly. I rate both cigars 4-5 stars. I prefer the Mac because of its packaging. If you don’t have time to finish the cigar it can be returned to the aluminum tube and capped. The cigar will extinguish itself and be ready for the next smoke. Of course, the Punch could be placed in a Mac tube with the same result because they are almost identical in size. 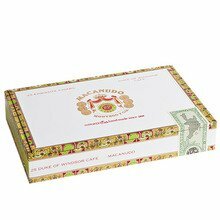 I have tried other small cigars like the Macanudo Ascot 4.25x32, the Punch Cigarillo 4x24 and the Punch Slim Panatellas 4x28 and the Punch Miniatures 3x22 but I found all four of them smoke too hot and too fast. I recommend the Macanudo Court and the Punch Bolos unless you want a full-size cigar. I do 20 camping trips a year and this is my 'house' cigar when in the outdoors. Always a consistent burn, great flavor, and about a 30 minute smoke. I usually bring a few assorted cigars, however, this one wins every time! These was a decent cigar. I most often see these for sale in locations that aren't cigar retailers, and you can pick up a decent smoke for an event or activity for a reasonable price.